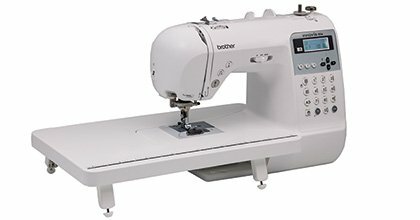 The NS-85e showcases the latest sewing and quilting technology in a portable size and at a very reasonable price. This lightweight machine is packed full of features, which is great for beginner and experienced seamstresses alike. Make a fashion statement, and let the enhanced NS-85e be your voice! With its diverse selection of decorative stitches, buttonhole styles, alphanumeric characters and custom stitch capability, you're not just sewing...you're creating "personal couture" with enough style and panache to satisfy the most demanding critic: you.